Destiny News – Fists of Havoc, Gambling, Bosses, & Colony Ships! Bungie’s latest Destiny video reveals new info including bosses, gambling, trading, colony ships and a guardian ability called ‘Fist of Havoc’! A trio of Bungie artists sits down to deliver running commentary about Destiny’s E3 Gameplay reveal. 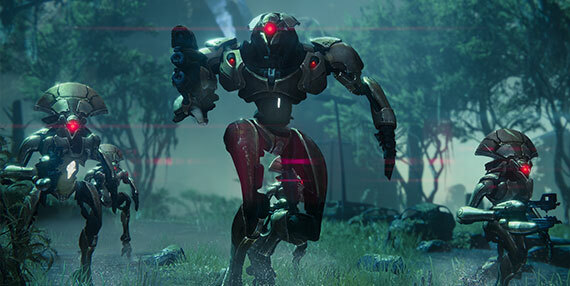 Your Fireteam for this mission will be three of the artists who led the charge to build that brave new world. Experience the adventure that unfolded at E3 through their eyes, and get to know some of the people who are making this game. At E3, they were members of our away team. Had you scored a seat as a member of our audience, you would have seen them showing off their work (and the work of their fearless peers) to the world. Now, they’re dishing out commentary on those first steps taken by Guardians into the world they helped to create.